With water and oil-repellent palms, excellent grip and fingertip sensitivity, and a breathable back, the Ejendals Tegera 860 Palm Dipped Precision Work Gloves are as comfortable as they are protective. Their Level 4 abrasion resistance and suitability for use in greasy and dirty environments make them perfect for a variety of light work applications. 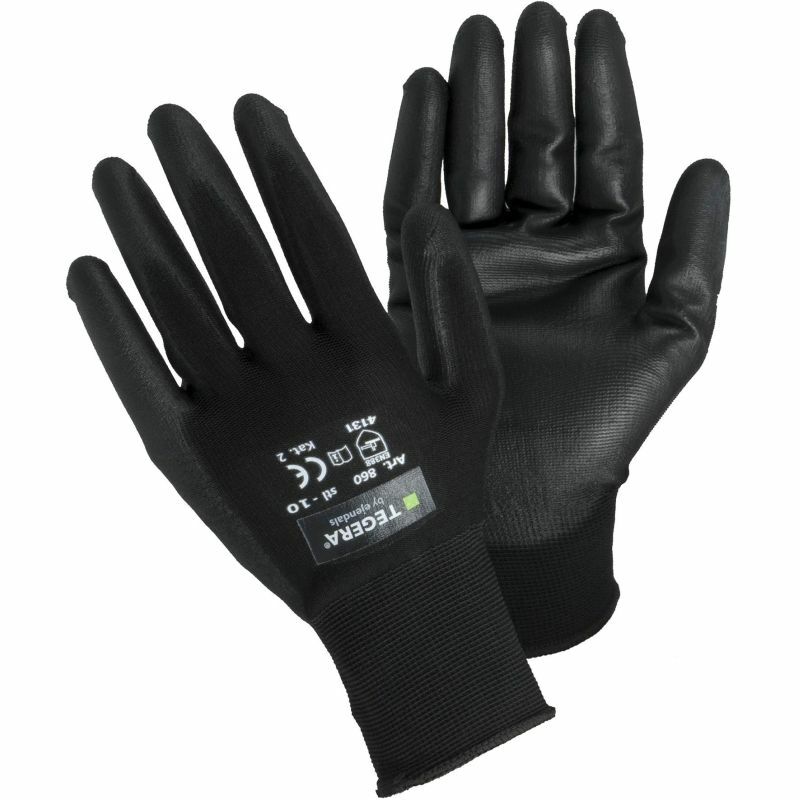 The 860 Precision Work Gloves are designated Category II gloves, meaning that they should be suitable for most medium-weight tasks. 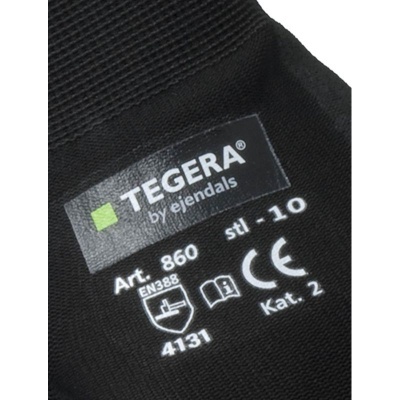 The Ejendals Tegera 860Work Gloves are available in six sizes that should suit the hands of most users. Please measure the circumference of your hand around the knuckles (excluding the thumb) with your hand open and your fingers together, and the length of your hand from the tip of your middle finger to your wrist.